Here is another fine liner lock from Corrie Schoeman. 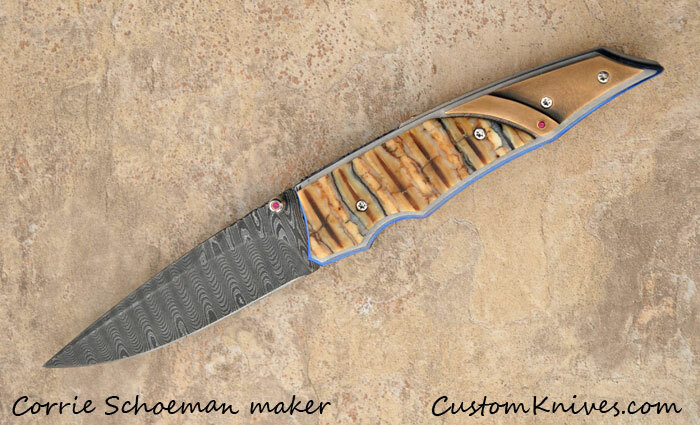 The blade length is 2 3/4", the overall length is 6 5/8", and closed is 3 3/4". The scales are Mammoth tooth.